Now for your Family or Friends Trip or for movement of Staff from one place to other now it is easy to rent a Hiace van or Rent a Coster. Askari Rent a car provide Public transport vehicles for your private Trip or event management. 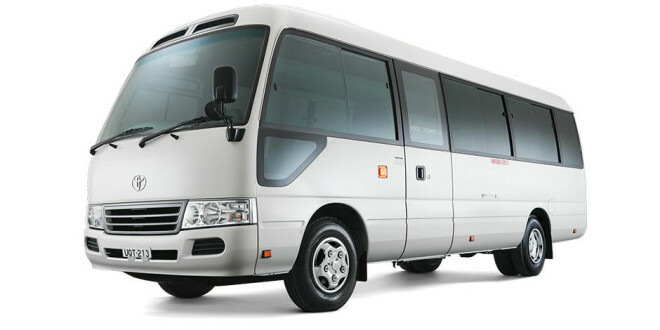 we have fleet of Luxury Latest model Hiace-Grand cabin/ Toyoat Coster having Seating capaicty 13, 22, 29 For your Trip and tours. We not only have excellent vehicle we also have expert drivers who know the routes for your tours and trips for these HTV Vehicles to provide excellent vehicle rental experience.